Author+ Premium WordPress Plugin Winners Announced! It is with delight that I announce the winners of the First Ever Official Author+ Premium WordPress Plugin Competition™. I deliberately tried to keep the entry simple with a tweet and a follow to maximise entries. It worked, as it’s taken me a little while to compile all the entries (more on my tips on running a competition soon on this blog!). Congratulations on the winners! I have followed you and will drop you a DM shortly with details on how to claim your prize. 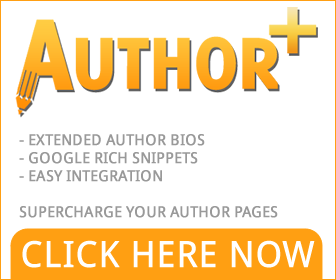 For those who haven’t won, don’t worry, as a consolation prize I’ve a 20% Off Code for Author Plus. There are too many of you to email/tweet (and it’ll look spammy), but if you wish to claim it, please drop me an email with the twitter account you entred the competition.